My Appointment | Wernology | Book appointments online hassle free. Werner Botha - Owner and Master Stylist. 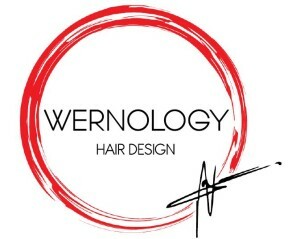 With over twelve years experience, Werner is a specialist in his craft of cutting, colouring and styling. He has entered L'Oreal Color Trophy twice and this past year he qualified as a semi-finalist alongside the industry's most talented. He was an esteemed judge on Via's: Die Hare Waai a Hair Styling competition show. Werner is also the Educational Director at Terenzo Suites. A new addition to Wernology Hair Design Corlia has always been drawn to the beauty industry and prides herself on her profession. She is an accomplished stylist and colorist honing her craft in Barbering, Balayage, Concept Colours & Cutting. Corlia also specializes in Make-up and has a passion for Wedding Styling and editorial work.